The first seven lessons of Essentials, plus ten optional Pre-Lessons! Fully scripted lessons and a wealth of teacher resources guide you through every step of teaching the first seven lessons of Essentials! Equip your students for success in reading and spelling as you discover the Logic of English together. 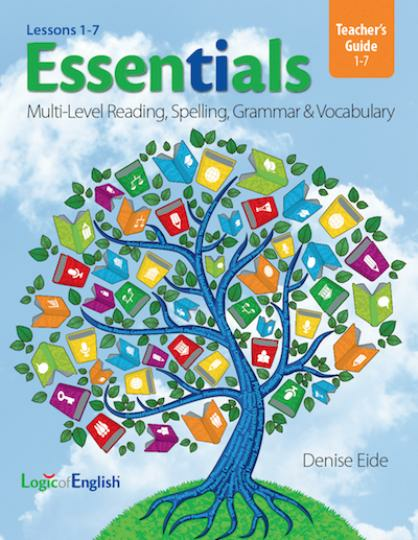 Essentials Teacher’s Guides, the heart of the Essentials curriculum, contain a wealth of tips and resources to equip both veteran and novice teachers to teach Essentials effectively. 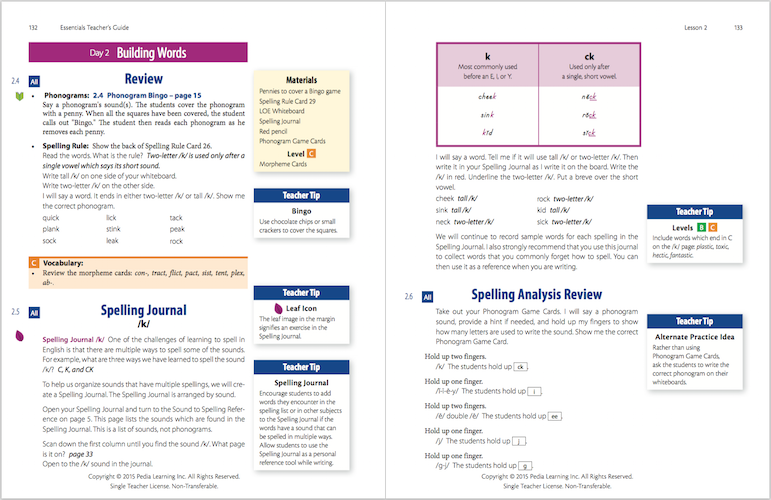 -Spelling analysis - detailed charts! None. If the student needs handwriting instruction, include The Rhythm of Handwriting (scheduled in the optional Essentials Pre-Lessons). Once you finish Lesson 7 of Essentials, continue to Lessons 8-15, 16-22 and 23-30. To teach the rest of Essentials you will need the supplements you used with Lessons 1-7, plus new Teacher's Guides, Student Workbooks, and Morpheme Flash Cards for each set of lessons. At a pace of one week per lesson, you can complete all 30 lessons in a school year. At a pace of two weeks per lesson, you will complete about 7 or 8 lessons per semester and about 15 lessons in a school year. The entire curriculum, Lessons 1-30, can then be reused up to two additional times at a more advanced level of instruction. What else do I need to teach Essentials 1-7? 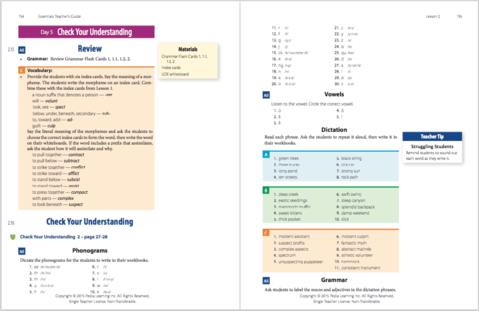 -Both the Teacher’s Guide and the Student Workbook are needed to teach Essentials.